Finn's birthday has quickly come and gone; yet, life hasn't slowed down one bit. Mother's Day was mere days after, and then Conor left for Europe for the work week. I had my mom here to help with the boys; but, between planting my garden, preschool, & t-ball, I have not had one moment to sit & blog. So I apologize for how untimely these posts are, as well as for the ridiculous amount of birthday related posts that are sure to follow. But first birthdays are a big deal!!! 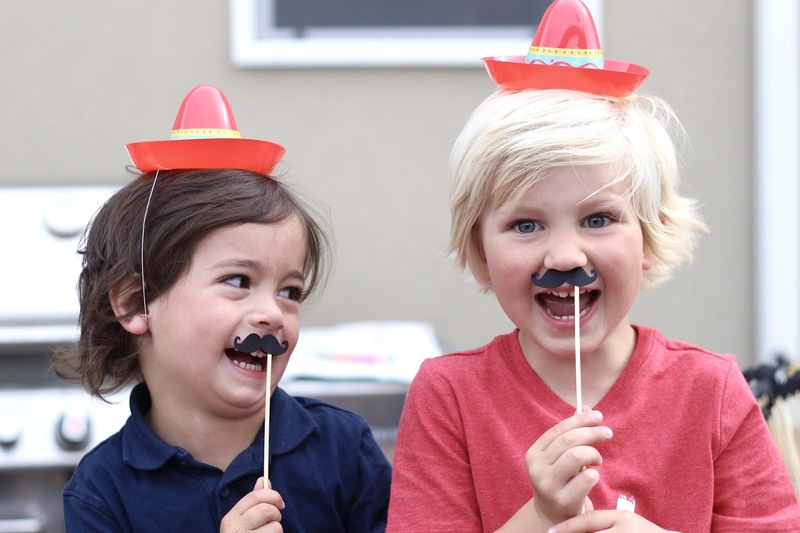 We celebrated our Cinco de Mayo baby with a big fiesta! We had a relatively big group, which made food & drink shopping nearly impossible. Conor & I love hosting parties but are always terrified of running out of anything. So spoiler alert: we bought enough to throw two fiestas! Tacos & margaritas all around for days and days and days! On the menu was a taco bar, chips & salsa, with churros for dessert! And the bar consisted of homemade margaritas, lime-a-ritas, & coronas. When I pick a theme, I really go for it! The weather was gorgeous (80+ degrees), so we were able to have the whole party outside. The sandbox was open & the corn hole sets out. Happy, giggly kids everywhere! Unfortunately, the birthday boy had a bit of a rough start to his party. We had to wake him up from his nap, and a few brand new teeth made for a sad boy. But throughout the evening he warmed up and seemed to be having the best time! 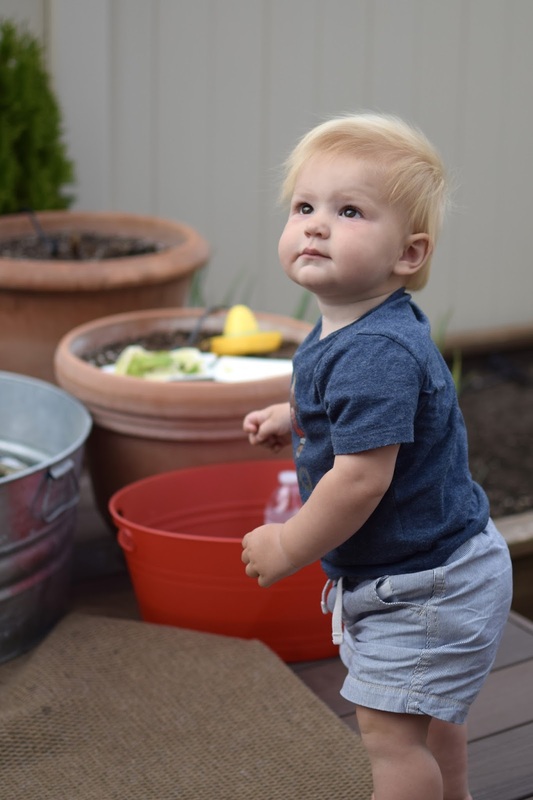 His favorite activity was splashing in the beverage bucket. Beer bottles were thrown everywhere, all the while shoving ice & water into his mouth. No cake smash here.... Yes, I'm that mom. The one who has deprived her child of sugar thus far. But we did give him one cupcake. He loved grabbing at all the frosting, but was not so interested in eating any of it. Instead, big brother stepped in and gobbled it right up! The highlight for many of the kiddos was the piñata!!! Again, I'm that mom, and instead of candy, I filled it with bubbles! Finn loves bubbles & can say the word "bubbles", so it seemed perfectly appropriate. We let the kids all take a turn swinging at it in age order, and the two oldest kids just destroyed it! Finn was just happy to simply play with the leftover parts! Our guests stayed late, enjoying the sunset as the kids ran off their last bits of energy. While family was missing from Finn's party, I felt so lucky to be surrounded by such close friends. 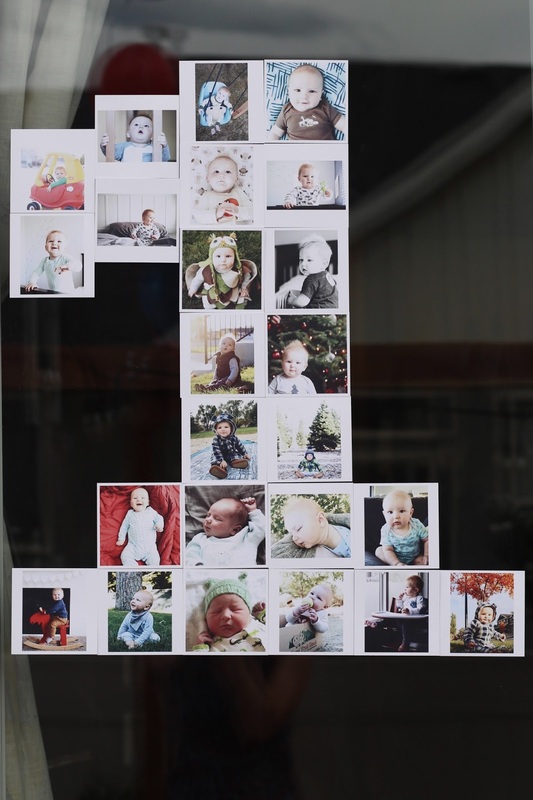 By the people who have played a large part in Finn's first year of life. They are my people, my tribe, and it felt just perfect being able to celebrate with all of them! And a big thanks to Minted for supplying us with some of the cutest decor for Finn's party! We used this piñata invitation, and the colorful balloons party decor. 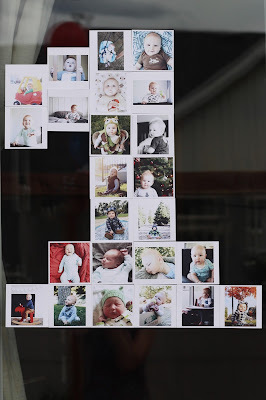 I was not compensated in any way for this post, but we did receive goods from Minted for free. And another huge thanks to my friend Victoria for taking pictures throughout the evening. This is one of the greatest gifts. 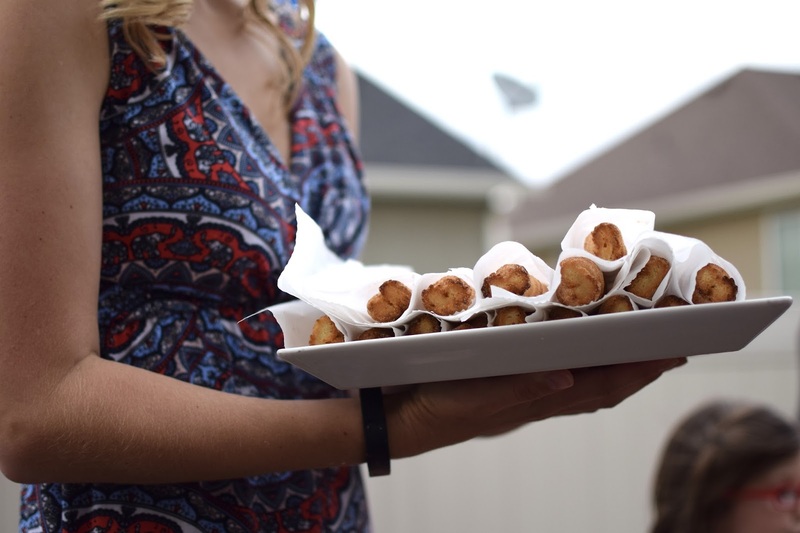 I love being able to play hostess and live in the moment and not worry about capturing the event! What a fun party!!!!! You did great, mama! What a fun party! I agree that candy in pinatas is a waste! Last time I stuffed it with markers and crayons and stickers and then gave the kids a notebook! I love the theme. 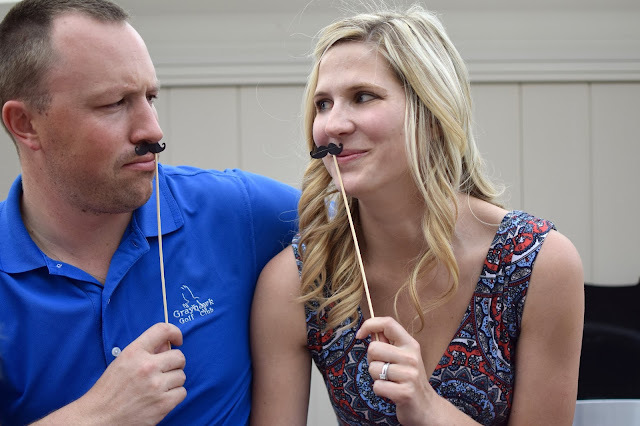 I threw Luke a surprise 30th fiesta this past fall! Such a fun but simple party theme. 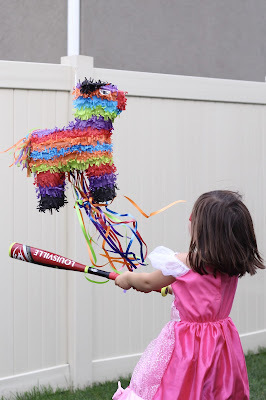 :) I really like the idea of filling the pinata with bubbles! You threw one amazing fiesta! And I agree, having someone take the photos so you can be the hostess and enjoy is the best gift! I also adore the photo of Liam with the mustache... So cute! The cutest fiesta!! I could use a talented photographer friend to take pictures at my kids parties (hint hint). The party turned out so cute! 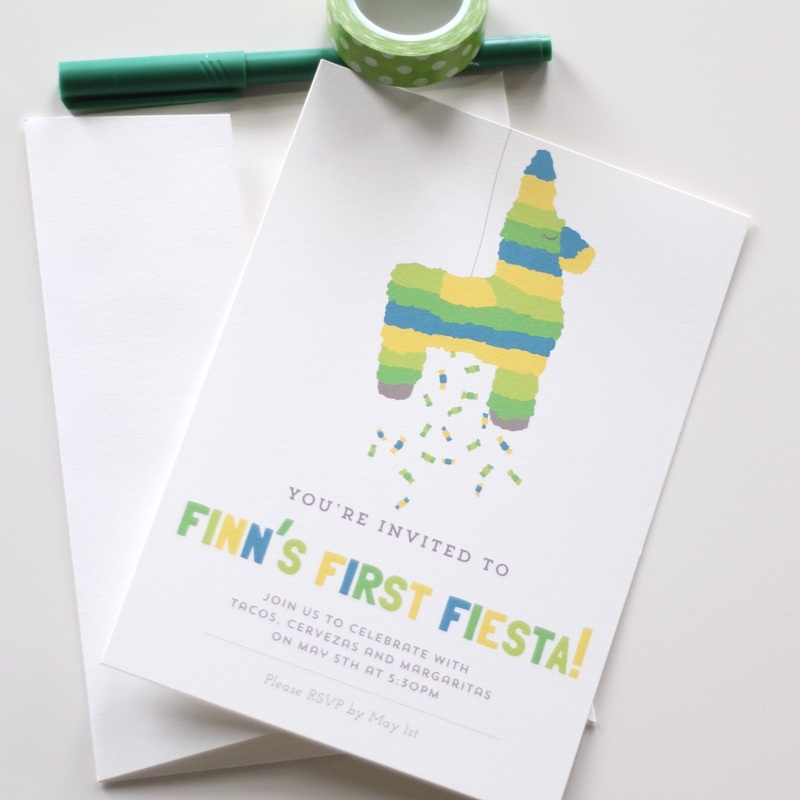 Love the fiesta theme :) Also, those invitations are adorable!! What a fun fiesta!!! you sure know how to throw a party!!! I love it! I'm the same way with food. Must make enough to feed three times the amount of people that are actually coming. Stitch Fix! And I love it too. It's so so easy to nurse in! Is it bad that my favorite picture might just be of those yummy looking frosty margaritas? Because oh, my they look delish. Prego craving for sure right now, lol! You did a great job putting this party together, mama. Everything looked adorable and Finn looks like he had a great time!!! Best party ever! Love the theme and all the festive decorations! Plus, margaritas!!! Oh Laura...everything is just darling! I love it. So beautiful and those boys are just incredibly handsome. I'm so glad that his Birthday was a success. Also, I love reading how you've found your tribe. That makes me happy to see such strong friendships. Oh girl. We have so much stinking food leftover here too. Like, tacos for a year lol. Luckily I think some of it should freeze okay, but holy cow! It looks like a fantastic party, I'm so glad that it all went so well! Seriously, perfect! Come plan Julia's 1st birthday. Please. I'm begging!! I'll provide the booze, you just tell me what I need to do from there. In related news: when I do plan an at-home party I totally get enough food to feed a legit platoon. Also. 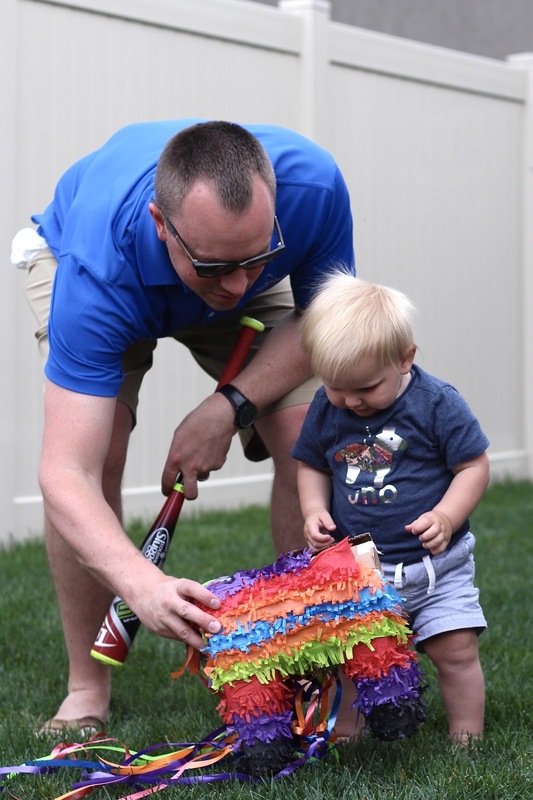 Bubbles in the pinata? Genius. SUCH a fun party! I love the theme and of course love the party food. Sounds like everyone had the best time celebrating the birthday boy! What a fun party! I love that you did a fiesta theme. 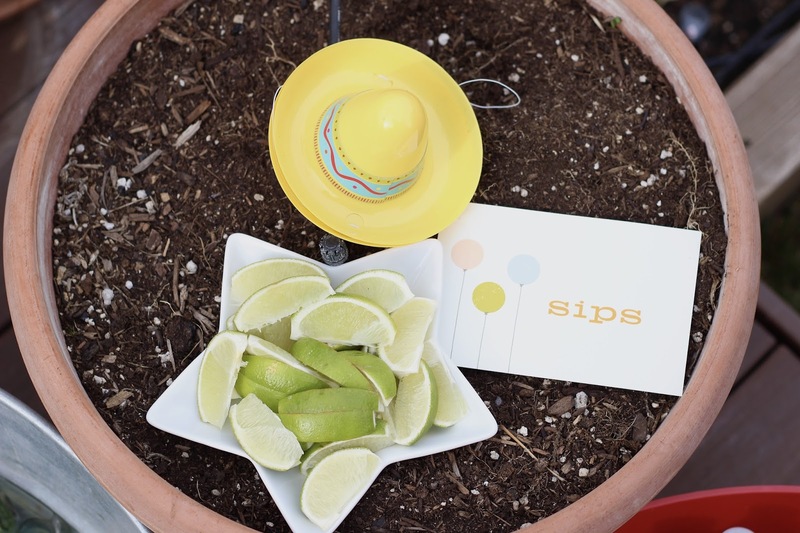 Such a great idea for a cinco de mayo baby. The cute little mustaches on sticks are the best. Love the piñata pictures. Great job momma! Such a cute theme! 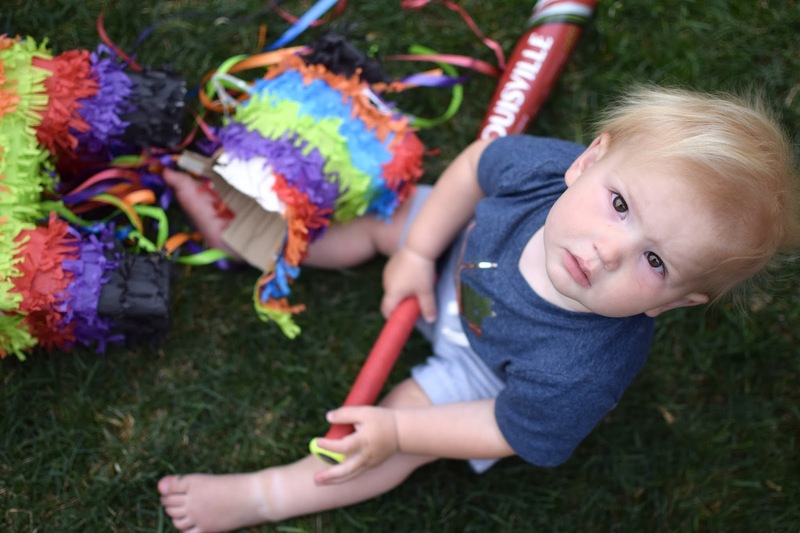 I love the photo booth props, the pinata, and duh - the margaritas!! 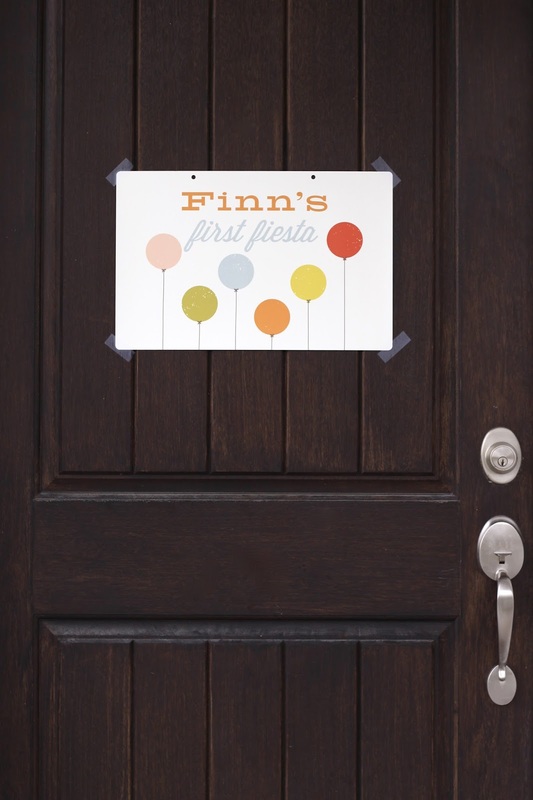 Totally stealing this for a future party and happy first birthday to Finn! I LOVE the fiesta theme and love all the decor! What a fun party! Happy 1st birthday to Finn! What a cute party..!! Love the boys' shirts too. I have to admit, I'm jealous you have a talented-photographer friend, that's perfect she takes pics for your events - one less thing to worry about, for sure. 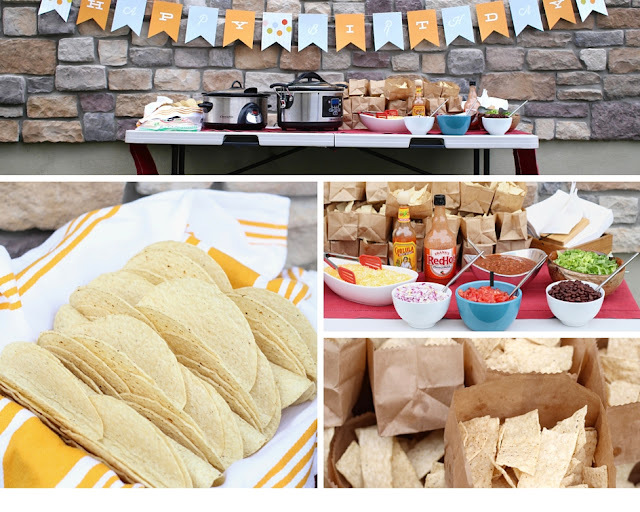 Love the theme with the taco bar!! And balloons in the piñata is such a good idea! This needs to be in a magazine! LOVE love love this!! What a perfect fiesta for your Cinco de Mayo baby! 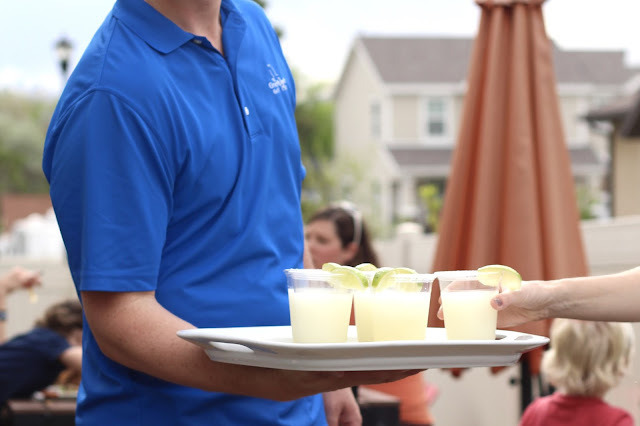 I could go for a taco bar and a margarita right now... ;) And such a great idea to have one of your friends take pictures so you don't have to worry about it! 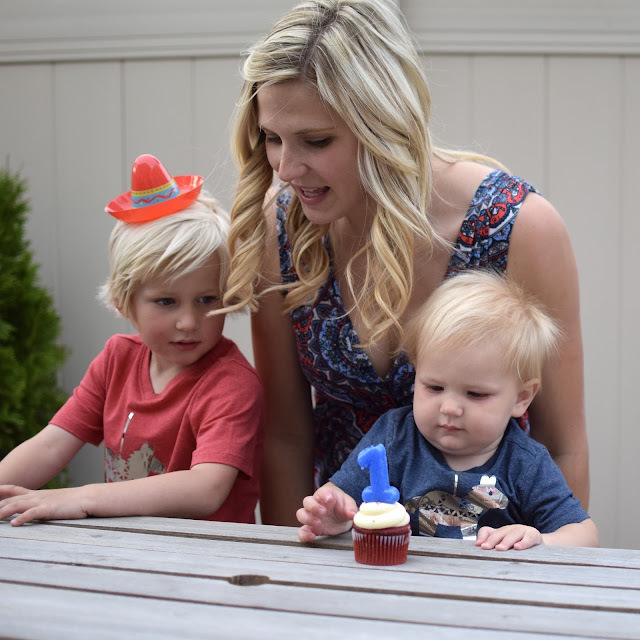 The first birthday fiesta is such a neat idea! Those turquoise and gold napkins are too pretty to use! And no fiesta is complete without a piñata! 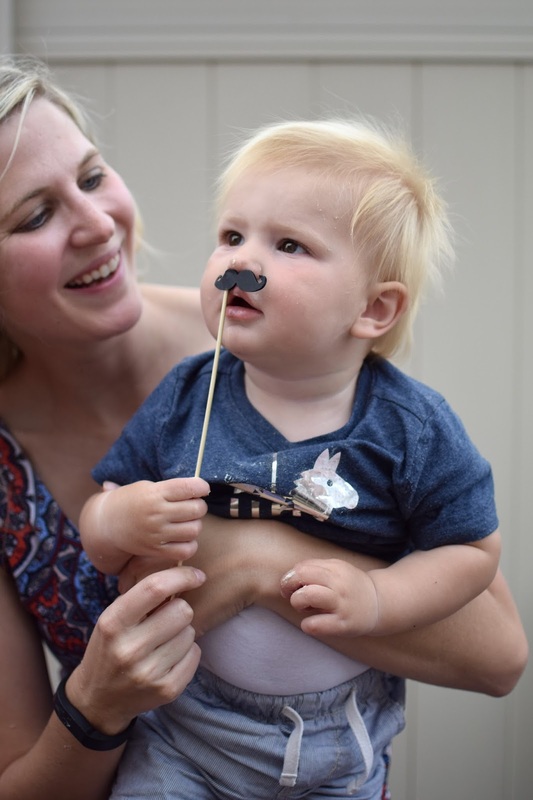 Looks like such a fun time celebrating your sweet Finn. All of the details are perfect! Good job, mama! Wait Finn is already a year old??????? Wasn't he just born?? And Liam....look at that hair!